Santorini offers an endless list of things to do, see and experience for such a tiny island. From beaches to hot springs, volcanoes to steep donkey rides there is something for everyone. Everyone that spends time on this beautiful European island has nothing but good things to say about their time here. If you’re looking for authentic experiences to fill your time in Santorini, here are twenty of the best. Always good to start a list off with a free activity! 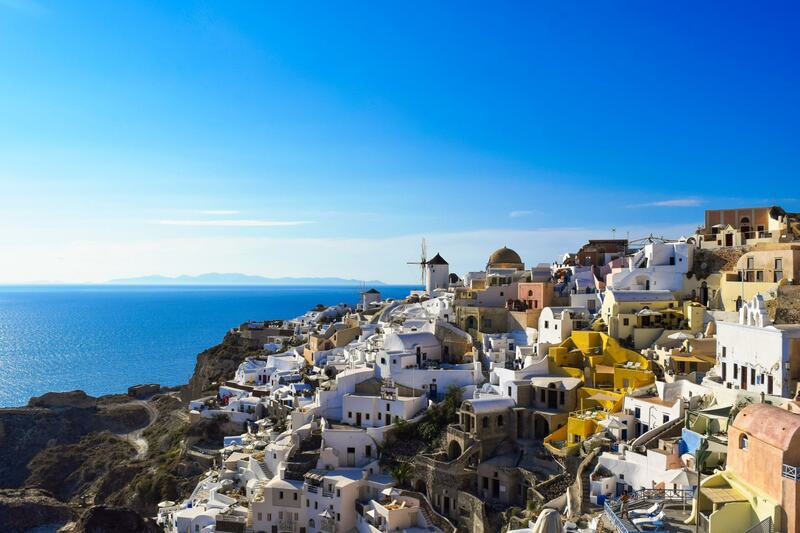 The walk from Fira to Oia offer some of the best views that can be found on Santorini Island. It’s a long hike, taking between two and five hours depending on how much you stop to take photos and enjoy the scenery along the way. The walk winds through the smaller towns of Firostefani and Imerovigli along the way, with lots of rural spaces along the way! Follow the path and your instincts to make it all the way to Oia, the track isn’t always the clearest. It’s almost impossible not to. No matter where you are on the island there are always restaurants that overlook the caldera. To be honest, most if not all of the restaurants have spectacular views. There’s no better way to end the day than with gyros and wine overlooking the ocean. After either walking down the cobblestone stairs or trying your luck with a risky donkey ride to the Old Port, the best way to get back up to the top is by the cable car. From May to October the cable car runs every twenty minutes from 6:30am to 10:00pm, with longer hours in July and August. For only 4€ for adults and 2€ for kids it’s less risky than a donkey ride! 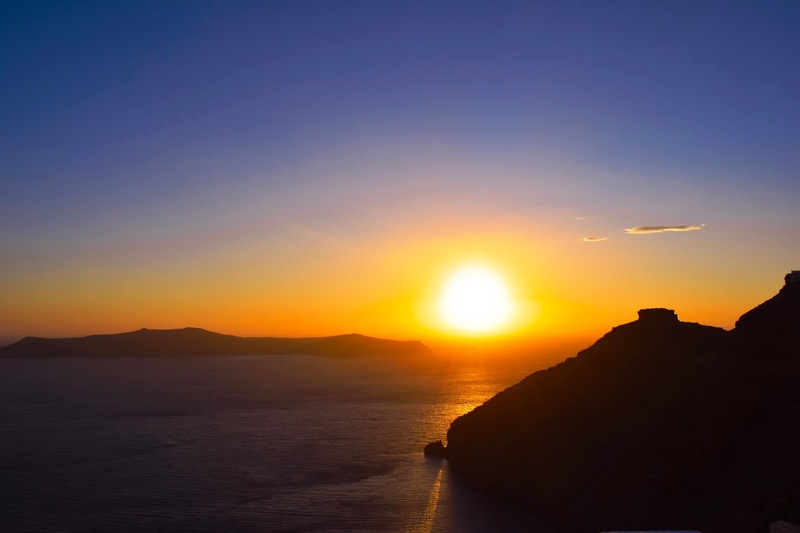 Infamous of it’s beautiful sunsets and stunning views, you will not find a list about Santorini anywhere that doesn’t mention the sunsets at Oia (challenge?!)! The sunsets at Oia have the reputation for being some of the best in the world, with every night offering up a perfect show. Bring a bottle of wine and watch the sun drop down from the cliffs. Oia gets extremely busy around the sunset time, so I would recommend getting there early and securing your spot. 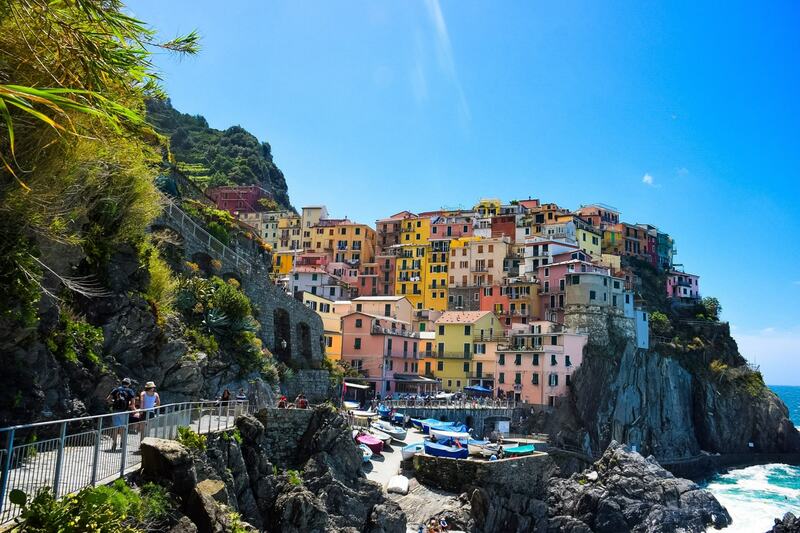 Depending on the company you decide to go with every cruise is different, but just as spectacular as the next. 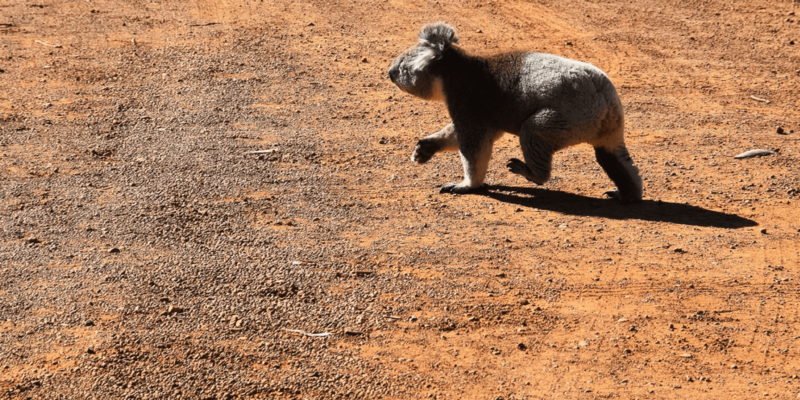 The options for the tours are all different, offering a range of stops and experiences along the way. But the most simple is definitely the sailing cruise, sailing around the caldera, stopping at a few different beaches and hot springs and watching the sunset over the rugged coastline. Check out the best deals on Santorini cruises. Similar to the catamaran cruises, the volcano adventures all offer different options. From hiking the volcano, swimming in hot springs, beach stops to swim and snorkel, exploring Thirassia, lunch and dinner stops and finally watching the sunset from the water, there is something for everyone. Some cruises even drop you off in Oia in the evening to watch the sunset from the world famous town. Greece certinaly know how to do wine right. So what better way to experience the country’s finest than with a wine tour. The wineries are beautiful and a stunning contrast to the volcanic ocean views of the main towns. A tour is the best way to experience multiple wineries in the same day, without worrying about driving back to town. If you’re looking for a secret place to swim with the clearest blue water you have ever seen you need to visit Ammoudi Bay. 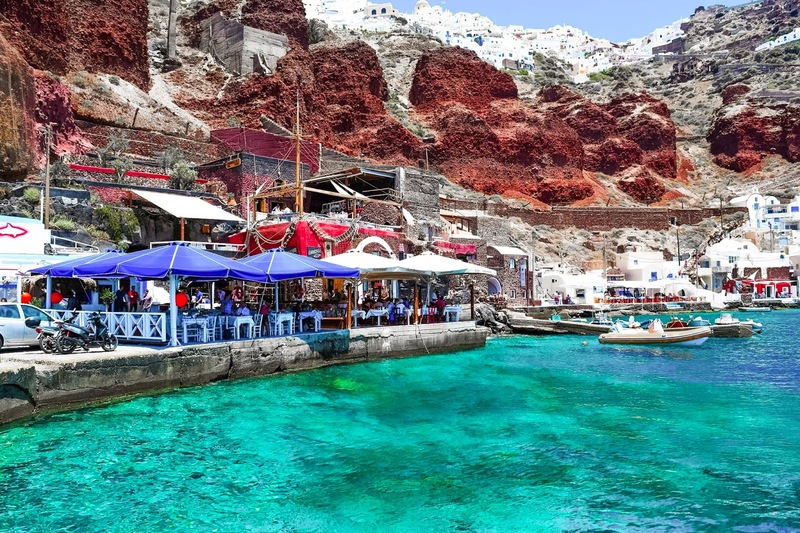 Found at the bottom of Oia, just south of the port it is the perfect place to spend the afternoon. Enjoy a seafood lunch and then jump straight into the water to cool off! With some of the most popular beaches in Santorini being found along the southern coast there’s always a different one to explore. 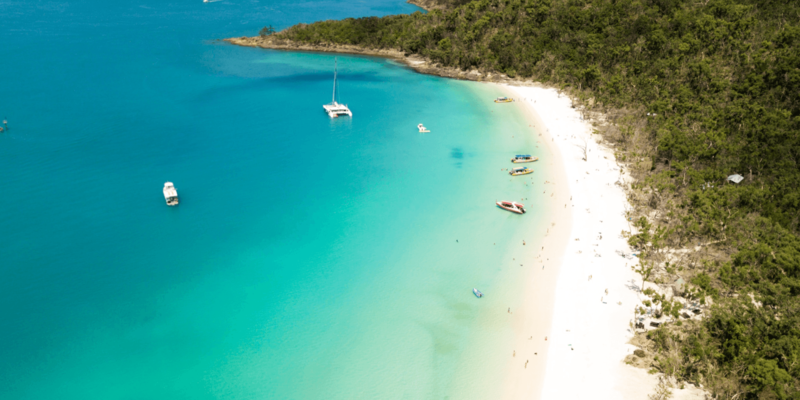 Take the time to hop along the different beaches, enjoy waterfront cocktails and all the ice-cream covered fruit you could ever hope for. For the perfect low key evening watch a movie outside as the sun sets and the stars come out. Beer, wine and snacks are available to purchase and movies start at around 9:30pm. Check online here to see what’s playing during your visit. 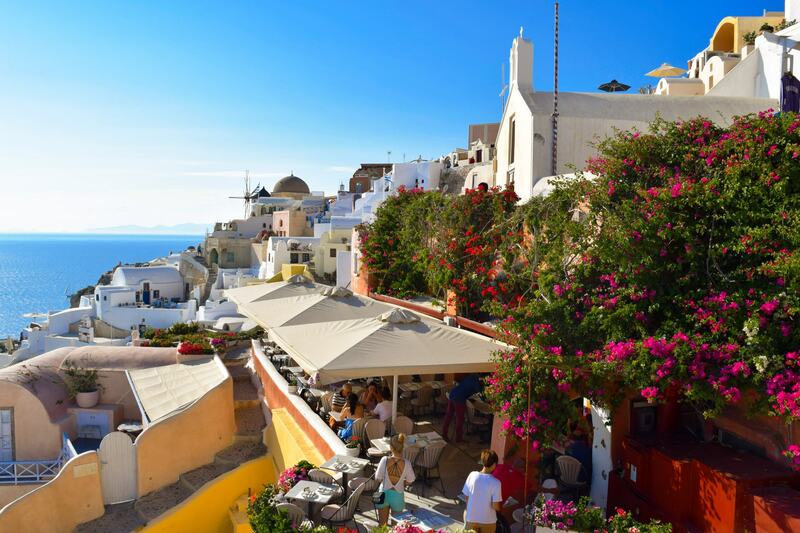 The short distance between Santorini and Ios makes it the perfect destination for a day trip. Ios is part of the South Cycladic islands and offers beautiful beaches laced with golden sand, peaceful bays with blue waters all around the island and hillside towns with cliffs reaching the shores. Accessible either by speed boat or a sailing catamaran, it’s the perfect way to experience another one of the Greek Islands. Explore all the experiences you can have on Ios. Experience the unique hot springs nestled in the base of a volcano. See how long you can relax in the sulphurous springs water before jumping back into the cool ocean water of the caldera. The water is amazing for relaxation and healing, with the volcanic activity offering beneficial effects to some ailments. Dance on the bar or try a tequila challenge to win an exclusive t-shirt, in Greek bars and clubs you can do whatever you like! Drinking challenges are popular, with prizes ranging from free drinks to club merchandise around the island and drinks are often offered for free if you’re confident enough to dance on the stage. Always remember to be safe though – water is not offered for free in clubs and bars so you will need some extra money to hydrate in between cocktails. 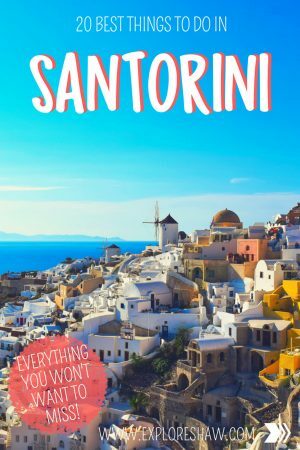 Join a tour to explore some of the oldest towns around Santorini with a local guide brimming with facts and knowledge. Most of the tours will take you through Akrotiri – the ruins of the ancient town destroyed by a volcano eruption, Pyrgos – old town with churches galore and incredible views over the island and Oia – to watch the sunset from the most iconic viewpoint. 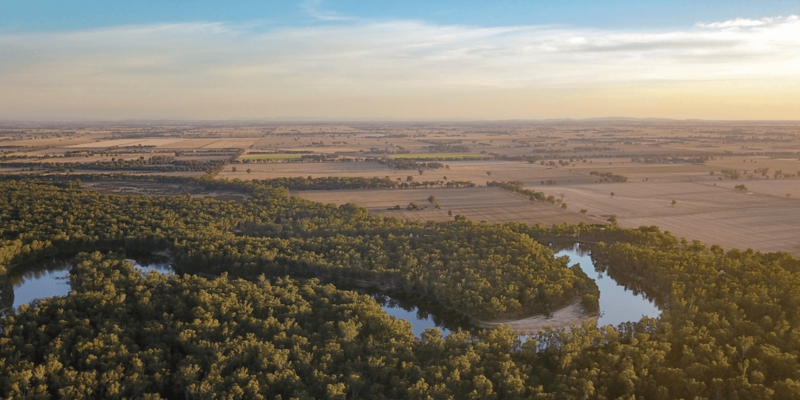 Easiest way to experience everything Santoini has to offer. Foodies rejoice, you can have the chance to learn how to make traditional Greek food from a local chef. Cooking classes are all the rage in the travelling world right now, with everyone wanting to learn how to cook authentic international meals. Follow the class up by enjoying your freshly cooked meal with some local wine. Explore all of the foodie experiences you can have on Santorini. Always a risk, the donkeys in Santorini have a reputation of being stubborn, unpredictable and crazy. But can you really come all the way to Greece and not ride one?! You can find the donkeys in two places – from the Old Port up to Fira and from Amoudi Bay up to Oia. If you’re not put off by the smell make sure you pay extra attention to what your donkey is doing. They like to run you into the walls just for fun. For a little more of a cultural day take the time to experience Akrotiri, the ancient village that was left behind after the devastating volcanic eruption that resulted in the island being uninhabitable. The best way to experience the village is to hire a guide to show you around and teach you some of the history of the island. Check out the best places to stay on Santorini. Is there any better place to try all the gyros you can possibly eat?! The traditional food of Greece is so much better in it’s homeland and was definitely my favourite meal around the island. If gyros isn’t your flavour there is an unlimited amount of traditional foods you can try. Greece was also the home to some of the best salads I have ever eaten! Make sure you wash it all down with a complimentary shot of Ouzo. 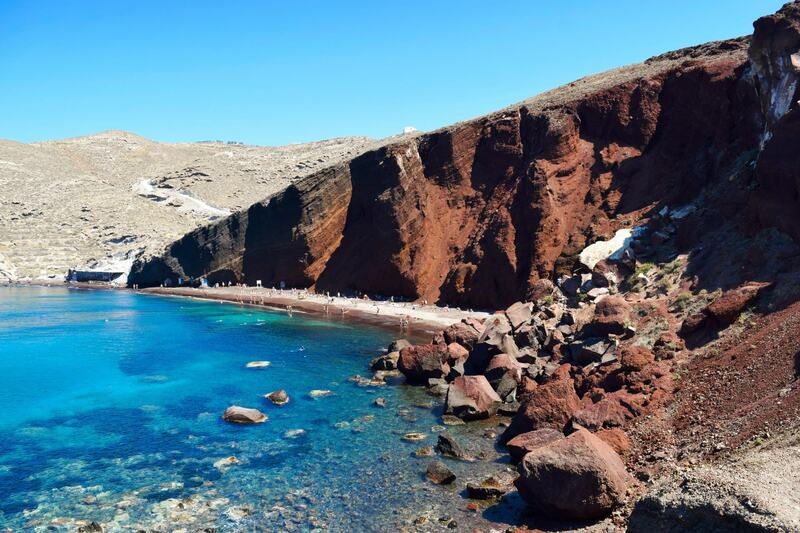 For a completely different experience why not check out the most active volcano on Santorini on the island of Nea Kameni in the middle of the caldera. The crater is 130 meters up and only takes about 20 minutes to walk to. Make sure to check out the sulfer vents along the walk. The only way to get to the island is by doing a volcano boat tour or hiring a chartered boat. But how many people can say they’ve hiked on an active volcano? My favourite way to get around the island is by quad bike, but you can also rent cars, motobikes and scooters to get around. Get away from the main towns and experience the greener countryside, tiny traditional towns and beautiful views over the whole island. There’s lots of farmland around the middle of the island and you can’t get very far before finding a winery. Explore more of our adventures around Greece.